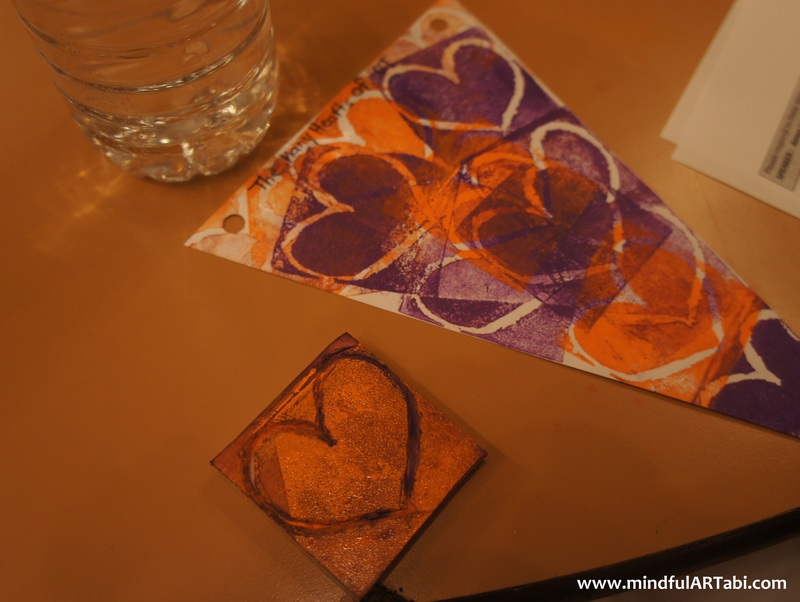 The Many Hearts of OT: a Toronto Rehab Retreat! I was kindly invited by Natalie Paananen, Occupational Therapist (OT) and OT Clinical Educator to give a presentation and lead a meditation and creative arts activity for the therapists at Toronto Rehab Institute. I was delighted for the opportunity to share my love for meditation and art with fellow Occupational Therapists. Natalie and I prepared for the workshop by gathering all the materials necessary for a creative arts activity. We dedicated our time and efforts into this activity, in hopes that each person who attend the retreat would be able to walk away with practical tools to incorporate in their clinical work and other areas of their life. 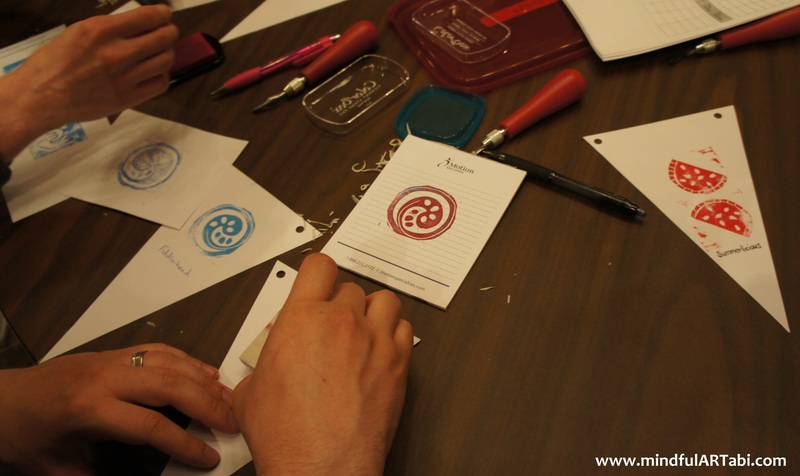 Luckily we were supported by Clinical Educator Debbie Hébert, who arranged for us to receive a budget to purchase carving tools, linoleum, and stamp pads. If something can be remedied Why be unhappy about it? And if there is no remedy for it, There is still no point in being unhappy. While this was happening, I was smiling to myself because the meditation I was going to lead was on being able to Patiently Accept problems and difficulties with a happy mind while trying to actively solve the problem without becoming upset. When our minds are calm and peaceful we can more easily solve problems in a rational and wise manner. There is no point in developing an unhappy mind, as that will rob us of our logical reasoning and good sense and we will be less able to help ourselves or others. It is funny how these events come together. As I was about to deliver a teaching, I was receiving a teaching as well. In that moment, I had to ask myself, “are you practicing what you are teaching?” I had to smile at the situation, knowing that I would be okay if I just kept a happy mind. I also knew that everyone around me was trying their best to resolve the problem. I reminded myself that I had the ability to be flexible, to change with the circumstances, and to do what was necessary for the best outcome. Happily, just before we were going to skip the presentation and move forward with the art activity, the laptop came to life, the presentation was uploaded, and my time to speak had arrived! We were all very relieved and the presentation was delivered smoothly! Then it was time to lead a guided meditation. Everyone was open to learning to meditate. After the meditation there was a noticeable calmness on the faces of those in the room. The energy was at a calmer level than before. When I had asked that everyone open their art kit, prepared by Natalie, there was noticeable excitement amongst the therapists. After one more movement meditation, involving gentle seated movements paired with a focus on the meaning of giving and receiving, we were ready for the next stage. As Occupational Therapists, we give a lot to our clients and team members. It is part of this job and most of us who have chosen this profession did so because of our wish to help people. There are times when we may feel overburdened and the flow of giving has become stuck. To symbolize this relationship, I asked everyone to focus on continuing to give to others while receiving the things they need to feel love, supported, and nourished, thus enabling us to keep giving to others. This activity was paired with a mantra by Asa Bennett & Kelsang Yangchan called “Om Muni Muni Maha Muniye Soha” in the album From the Heart. 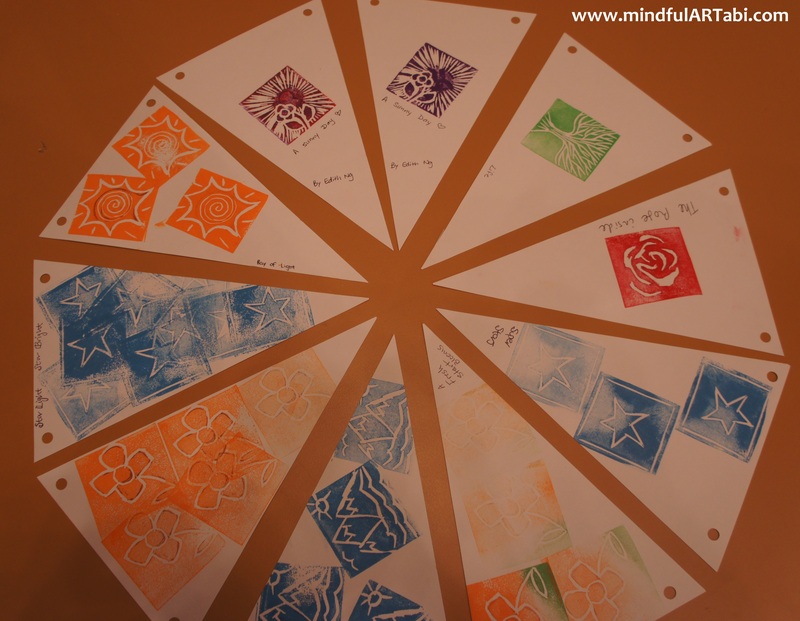 There was a wonderful flow of movements during this meditation; afterwards everyone was excited to start designing, carving, and printing their art work. 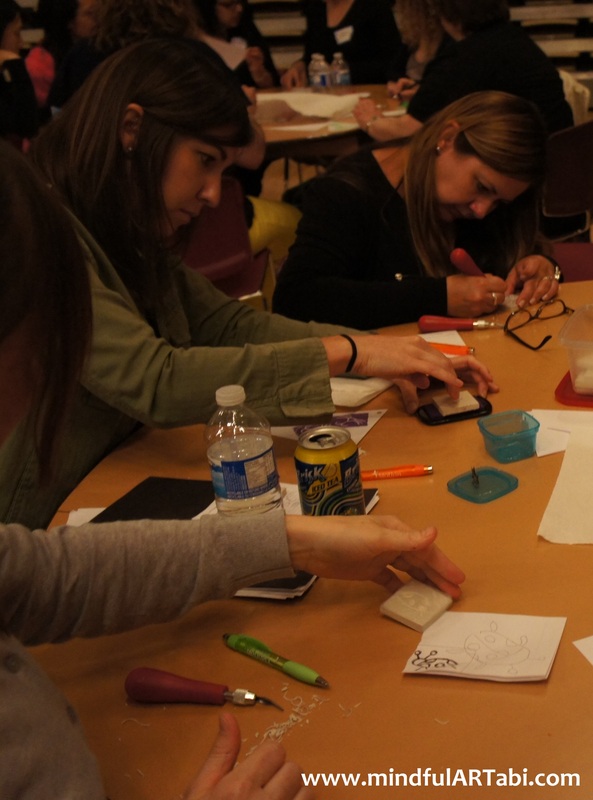 The pictures below show the focus and determination of the therapists as each person interacted with their linoleum block. Then it was time to print. You can see the diversity of the images uniquely generated by each person. In each picture you can see the messiness and neatness of each workstation as each person used the tools to create a meaningful art print. 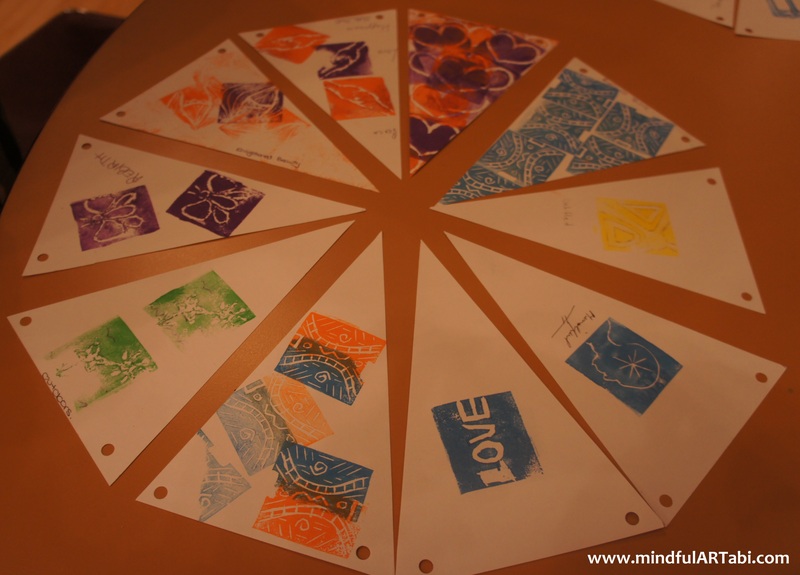 Each print is designed and stamped differently, reflecting the diversity in our experiences, skills, and abilities. When each person printed their images, I asked everyone to give a name to their art work. I was thrilled to see “The Many Hearts of OT” expressed on printed images. At the end of the workshop, while we were tidying the tables, I wanted to see all the printed flags from the therapists. I arranged the flags and Nicola photographed them. When I was reviewing these images the next day, I was blown away by the beauty and meaning of each print. This was such a special experience for me to be able to share my love for meditation and art and receive many positive comments and feedback, as well as seeing the excitment and joy on everyone’s faces. 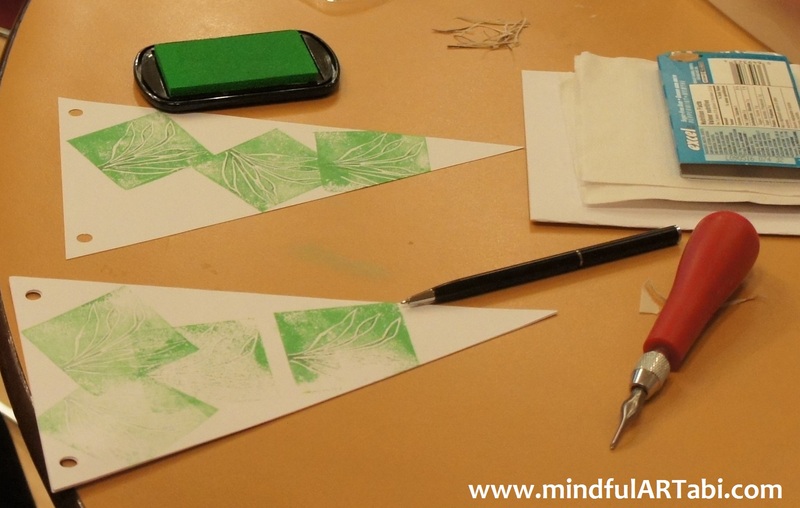 Exploring meditation and art as therapeutic tools can have immeasurable benefits to one’s health and wellbeing. Natalie and I hope that this workshop will have a positive effect on participant’s view of using meditation and art as treatment modalities. We also wanted to ensure that this was not a one-time experience, isolated to the retreat. By giving each group a physical tool box of goodies and the mental tool box of skills and direct experiences, we hope that the seeds were planted for this experience to benefit both the therapists and the clients, staff, friends and family that are within their circles. If you are reading this and were a participant, please leave any comments about your experiences from the time that we spent together! 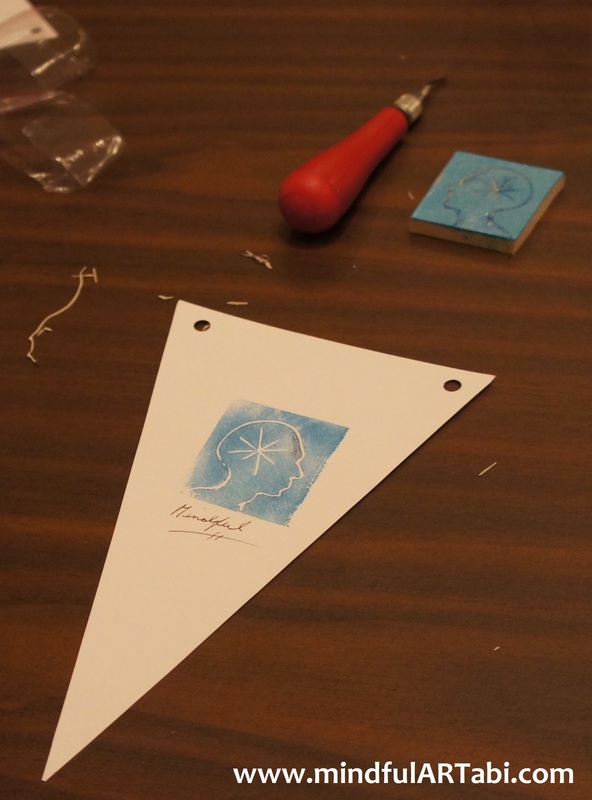 Next postOur First Art Commission – the Twillingate Commission! Thank you Amee for the session. It was very inspiring. This isn’t ot-related; its memory deficit-contingent. Has anyone, here, heard of voice recognition software’s use for post-stroke/craniotomy memory restoration.